Are you a licensed child care provider in Hillsborough County? Looking for to join a group of fellow child care providers? Looking for training for your child care license requirement? Looking to talk to people who understand what you do all day? 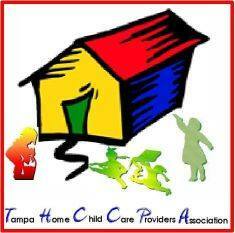 Look to the Tampa Home Child Care Providers Association. We are one of 8 family child care provider associations in Hillsborough County. We meet the second Tuesday of each month January - November at the Woodmen of the World Lodge, at 6:30 for social and 7 p.m. for meetings and training. Check out our home on the web at http://www.tampahomechildcareproviders.i8.com to see the lateset information on trainings and the goings on in our association.